Chances are that your business is located near a competitor; so, how do you get a “leg-up” on the competition? Answer: Complete a Competitive Analysis of the marketplace, which determines the strengths and weaknesses of your business and your competitors. Identify your competition and what marketing techniques they are using. Are they offering discounts or cross-promoting their brand? How does this compare to what your company is doing? Determine what is working well for your competitor and build your marketing plan to provide the same quality (hopefully better) materials, discounts, interactions, etc. Your target market will be comparing what you offer to what competitors offer. Remember: Put your best foot forward and don’t use slander as a way to build your business. Why Choose Strike Marketing for a Competitive Analysis? 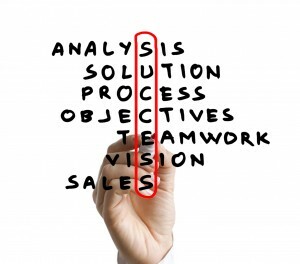 Strike Marketing has the experience required to complete a full competitive analysis of your industry. We have proven results in taking businesses to the next level with their sales and conversions through our unique “Top 10” Reviews of Websites and Social Media presence. Top 10 reviews are FREE. Take the first step today, with no fees, to building your business and brand by contacting Strike Marketing.